Posted Aug 30, 2018 by Eds. The word “regime” implies that the government to which the label is applied is undemocratic, even tyrannical, so it’s peculiar that the term is used in Venezuela’s case, since the country’s leftist government has repeatedly won free and fair elections (London Review of Books, 6/29/17). One could argue that, strictly speaking, “regime” can simply mean a system, and in some specific, infrequent contexts, that may be how it’s used. But broadly the word “regime” suggests a government that is unrepresentative, repressive, corrupt, aggressive—without the need to offer any evidence of these traits. The function of “regime” is to construct the ideological scaffolding for the United States and its partners to attack whatever country has a government described in this manner. According to the mainstream media, the democratically elected government of Nicaragua is a “regime” (Washington Post, 7/11/18). Cuba also has a “regime” (Washington Post, 7/25/18). Iraq and Libya used to have “regimes”—before the United States implemented “regime change.” North Korea most definitely has one (New York Times, 7/26/18), as do China (Washington Post, 8/3/18) and Russia (Wall Street Journal, 7/15/18). 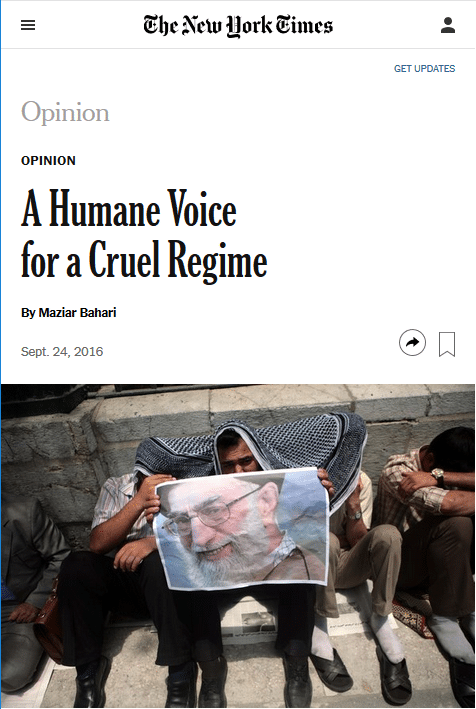 When, for the media, does a government become a “regime”? 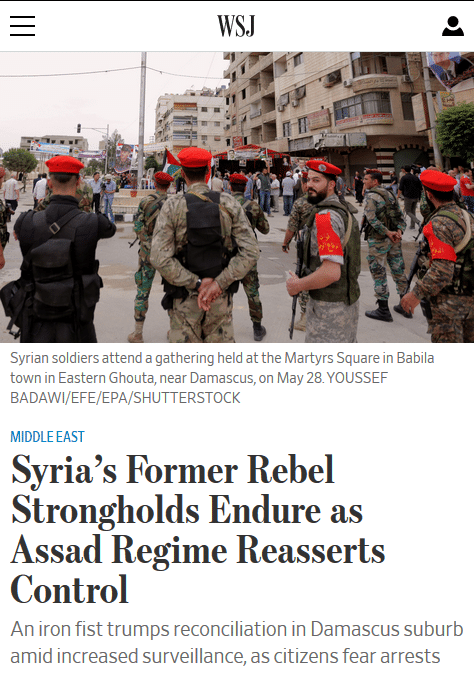 The answer, broadly speaking: A country’s political leaders are likely to be called a “regime” when they do not follow U.S. dictates, and are less likely to be categorized as such if they cooperate with the empire. 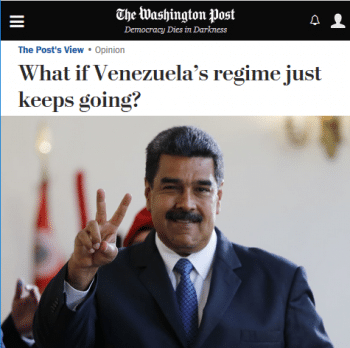 A search run with the media aggregator Factiva finds that in the nearly 20 years since Venezuela first elected a Chavista government, the New York Times, Wall Street Journal and Washington Post have used the phrase “Venezuelan regime” 74 times, “regime in Venezuela” 30 times, “Chávez regime” 68 times, “Maduro regime” 168 times and “regime in Caracas” five times. All of these governments have been democratically elected, but have sinned by trying to carve out a path independent of U.S. control. Consider, by contrast, coverage of Honduras. The country is hardly lacking in characteristics associated with a “regime.” On June 28, 2009, a U.S.-backed military coup overthrew the democratically elected government of Manuel Zelaya, replacing it with a U.S.-friendly administration. Since then, Honduras has become the most dangerous place for journalists in the Americas; labor leaders and environmental activists have also been regularly targeted for assassination. According to a Factiva search, the phrase “Honduran regime” has never appeared in the Times, Journal and Post in the years following the coup, and collectively they used the phrase “regime in Honduras” once: It appeared in a Washington Post article (3/31/16) about the assassinations of Honduran indigenous leader Berta Cáceres and other environmentalists in the region, in a quote by a professor critical of U.S. support for Latin American dictatorships. While Honduras’s three post-coup presidents have governed a country where “impunity for human rights abuses remains the norm,” according to Human Rights Watch, these leaders have almost never been described as running a “regime.” A Post editorial (9/5/09) included the only appearance of “Micheletti regime” in any of the three papers. “Lobo regime” returns zero search results. The New York Times (2/15/16) has used “Hernández regime” once, but Factiva indicates that the Post and Journal never have. Searches for “regime in Tegucigalpa” or “Tegucigalpa regime” produced zero results. Since the war in Syria ignited on March 15, 2011, “Syrian regime” has been used 5,355 times, “Assad regime” 7,853 times, “regime in Syria” 836 times, and “regime in Damascus” 282 times in the New York Times, Wall Street Journal and Washington Post. Washington’s economic and military partner Saudi Arabia is described as having a “regime” far less often than is Syria, despite its rather “regime”-like qualities: Its unelected government represses dissidents, including advocates for women and its Shia minority, and carries out executions at an extraordinary clip, including of people accused of adultery, apostasy and witchcraft. Saudi Arabia crushed an uprising in neighboring Bahrain in 2011, and with its U.S. and UK partners, is carrying out an almost apocalyptic war in Yemen. In the same period examined in the Syrian case, the phrase “Saudi regime” was used 145 times by the same papers, while “regime in Saudi Arabia” registers four hits and “regime in Riyadh” can be found once, in the Post (11/29/17). Saudi leaders can rest assured that their names are unlikely to be associated with running a “regime”: Factiva indicates that the three publications never used the phrase “Abdullah regime” in the relevant period, while “Salman regime” pops up only once, in a Post editorial (5/3/15). The case of stalwart U.S. ally Israel offers an illuminating counterpoint. Even though Israel violently rules over 2.5 Palestinians in the West Bank and keeps 2 million under siege in Gaza, and even though Palestinians living as citizens of Israel face institutional discrimination, the Israeli government is almost never described as a “regime” in a way that carries the negative connotations discussed above. A New York Times article (8/2/91) on the Gulf War used the phrase “the obdurate Israeli regime” to describe Israeli conduct in regional negotiations. In 1992, a Washington Post op-ed called for America to accept Jewish people from the just-collapsed Soviet Union in part because “elements in the Israeli regime are quite ready to place the [Jewish people who moved to Israel from the USSR] in harm’s way,” a reference to the idea that Palestinians are a threat to them. A Wall Street Journal article employed the term “Israeli regime” in 1999 to describe Ehud Barak’s administration as taking over from “the previous Israeli regime” of Benjamin Netanyahu, and a piece in the Washington Post used the phrase in the same way. “Sharon regime” yields four results. There are no results for “Olmert regime.” Since Netanyahu returned to power in 2009, Factiva shows, the only use of “Netanyahu regime” in any of these papers was a Washington Post article (2/27/15); there are three instances of the phrase in these papers from his first go-round (1996–99). The New York Times referred to Israel as the “regime in Jerusalem” once in 1981 (3/2/81) and again in 1994 (1/6/94). “Regime in Tel Aviv” only appears when it’s part of a quote from someone criticizing Israel. 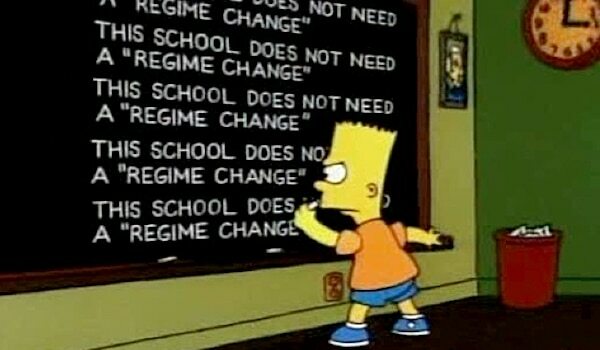 Calling a government a “regime” suggests a lack of legitimacy, with the implication that its ousting (by whatever means) would serve humanitarian and democratic ends; it’s no accident that the phrase is “regime change,” not “government change” or “administration change.” The obverse is also true: The authority of a “government” is more apt to be seen as legitimate, with resistance to it or defense against it frequently depicted as criminal or terroristic. Thus corporate media help instruct the population that the enemies of the U.S. ruling class need to be eliminated, while its friends deserve protection.